Inlingua Washington DC was established in 1986, joining the world’s largest association of independent language schools, Inlingua International, which was founded in 1968 in Switzerland. Today there are 350 Inlingua schools in 44 countries across Europe, Africa, Asia, North and South America. There are students from all over the world at our school. We offer general group English classes at all levels, from beginner to advanced, plus Test Preparation Courses in TOEFL, IELTS and Cambridge Exams. We also customize professional and academic English seminars and courses for diplomats, lawyers, law enforcement officers, engineers, business executives, architects, and customs officers, etc. 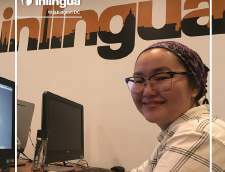 Why Inlingua Washington DC? - Our school is the premier English school in the area and an ideal choice due to its highly effective methods and suitable programs and courses; its location, only steps away from Georgetown (downtown Washington DC); its lively multicultural environment with students from all over the world; and a proven track record since 1986. - We provide qualified and experienced English teachers, whose mother tongue is English, who are devoted to giving dynamic and effective English instruction to help you study. Maximum 14 student per class. - We guarantee a minimum of 9 different levels. We are accredited by the CEA and thus uphold CEA Standards for English Language Programs and Institutions. Member of English USA. - Our school offers very well equipped (TV, video player, CD player etc.) and air-conditioned classrooms. There are more than 30 computers with flat screens in our new computer lab. High speed internet and email access are free of charge at your disposal. We have additionally wireless access (WIFI) - free of charge. - Our in-house accommodation department ensures accommodation on a very high standard with inlingua Residence - We offer very personalized attention and excellent customer service - speedy and transparent. We provide precise information from first contact and we have provide professional and friendly service locally by our welfare team. - Our social activity program plays an important role in learning and understanding a foreign language as learning a foreign language is also learning about culture and people. We offer year round every week a minimum of 4 attractive cultural activities as well as conversation club. The whole program is accompanied by our enthusiastic team. 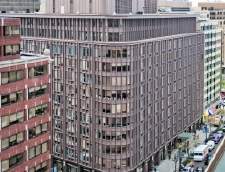 EC English Language Schools: Washington D.C.
Kaplan International Washington DC is located in the center of the city, 6 blocks from the White House in downtown DC. The school is located in a stylishly renovated building located in the most interesting and attractive area of downtown DC. All classrooms are equipped with Smartboards®. Various English language and exam preparation classes are taught in modern facilities that include computer labs, a student lounge, and a library. There is also an exciting social activities program for students to get to know each other and experience the local culture at the same time. Washington DC is the capital of the United States and is home to numerous historic monuments, museums, government buildings, and many other places of interest for students to explore. Students will be able to enjoy the free, world class museums and green areas close to the school, and also the many restaurants, cafes and other attractions of the downtown area. Είτε είστε φοιτητής, είτε επαγγελματία, ή ταξιδευτής, υπάρχει ένα κύκλος μαθήματος ξένης γλώσσας στην Ουάσιγκτον που είναι κατάλληλος για σας. Υπάρχουν μάθημα αγγλικών για όλα τα γνωστικά επίπεδα, τις ηλικίες και την χρονική διάρκεια. Απλά επιλέξτε ένα είδος προγράμματος από την παρακάτω λίστα για να ξεκινήσετε.